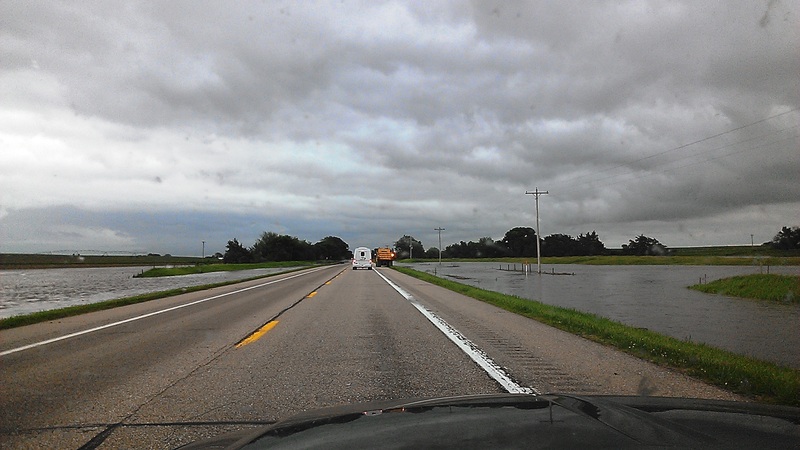 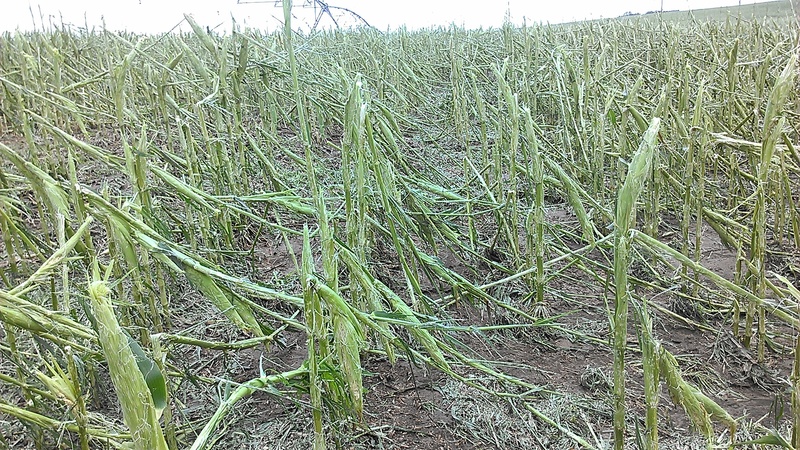 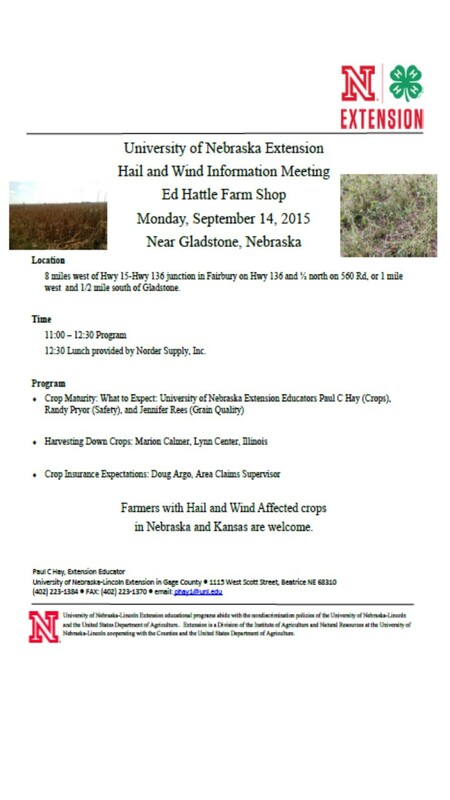 On August 1, 2013, a severe wind and hail storm damaged 170,000 acres of corn and 86,000 acres of soybeans in Clay County, Nebraska. 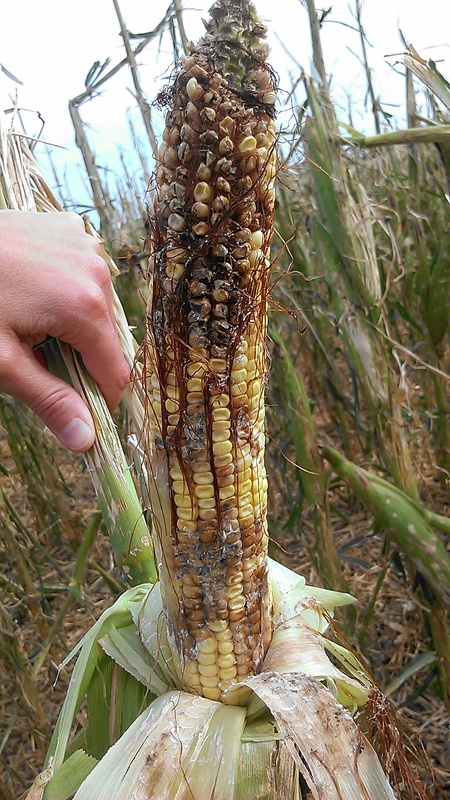 Corn at the time of the storm was from brown silk-blister. 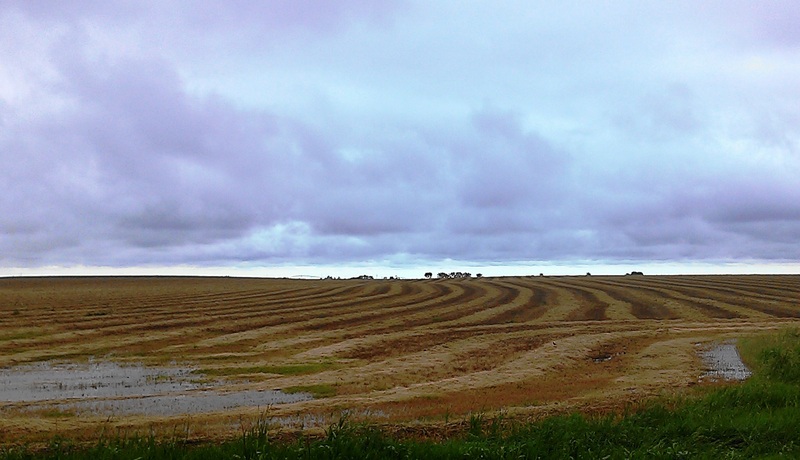 While the storms in the Gibbon/Blue Hill areas occurred a little earlier in the growing season, the following photos show the progression of damage in the event it can be of help to those affected by 2014 storms. 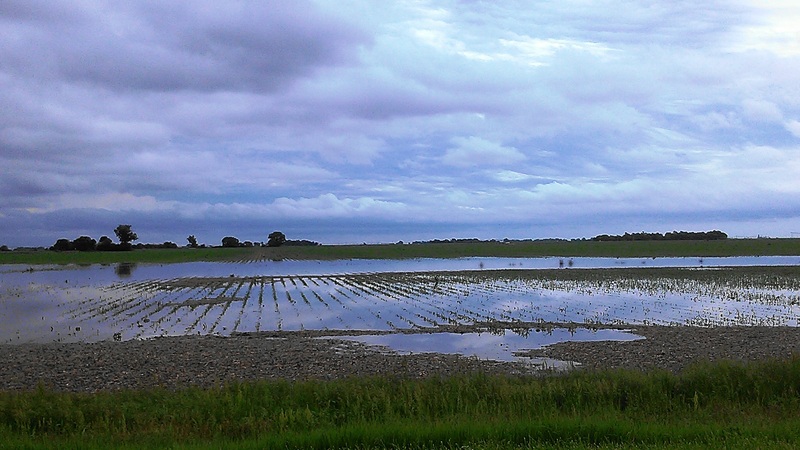 Field on August 2nd that was totaled out and planted to cover crops. 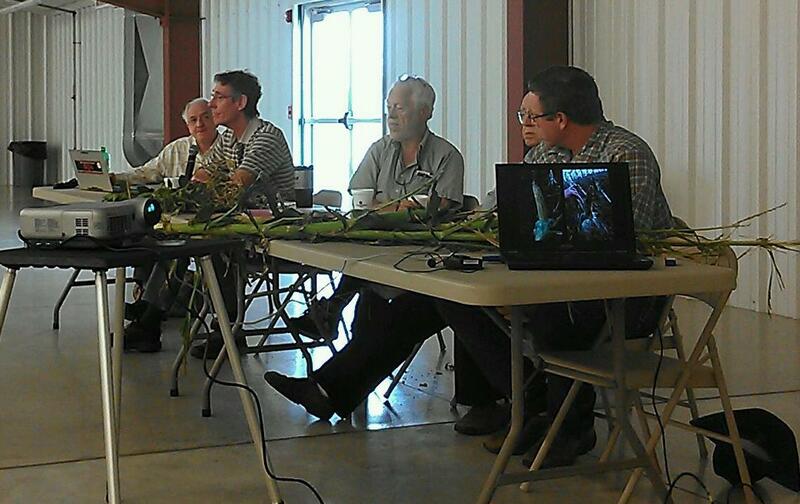 Where crop insurance allowed, producers considered various forage options. 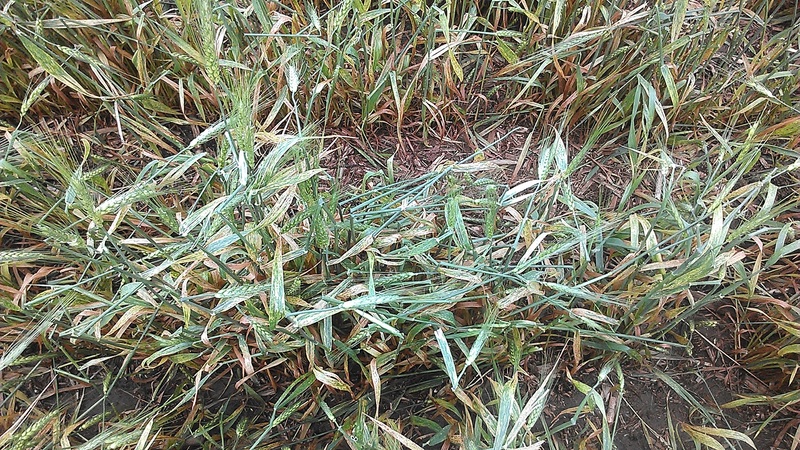 Some producers chose to spray fungicides on fields with more foliar leaf tissue such as this one. 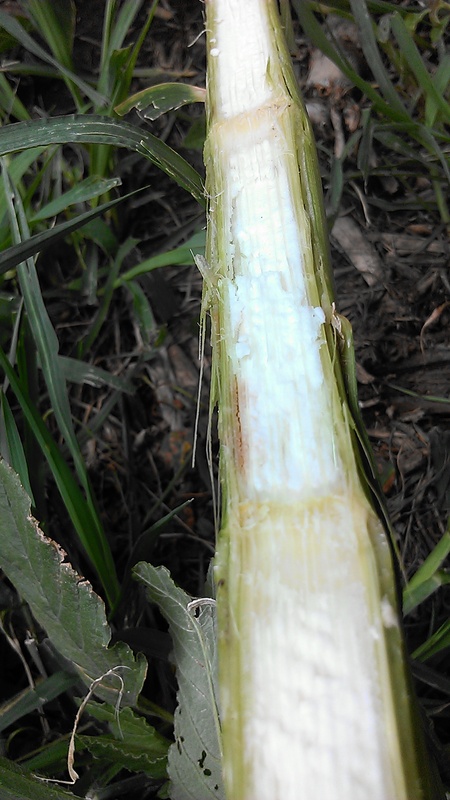 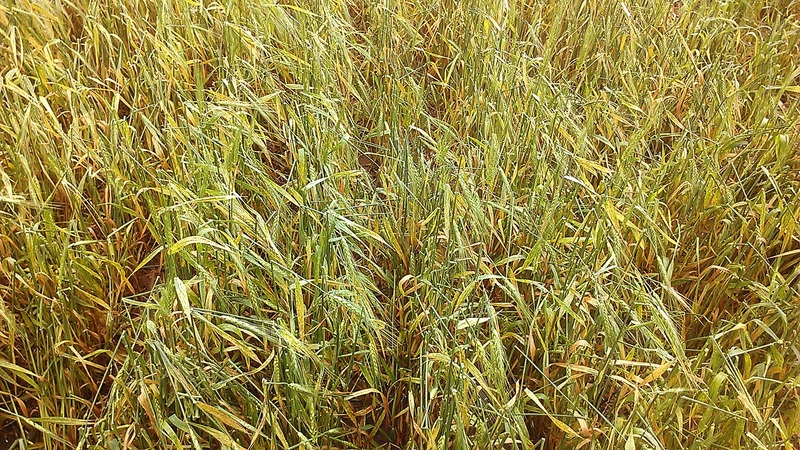 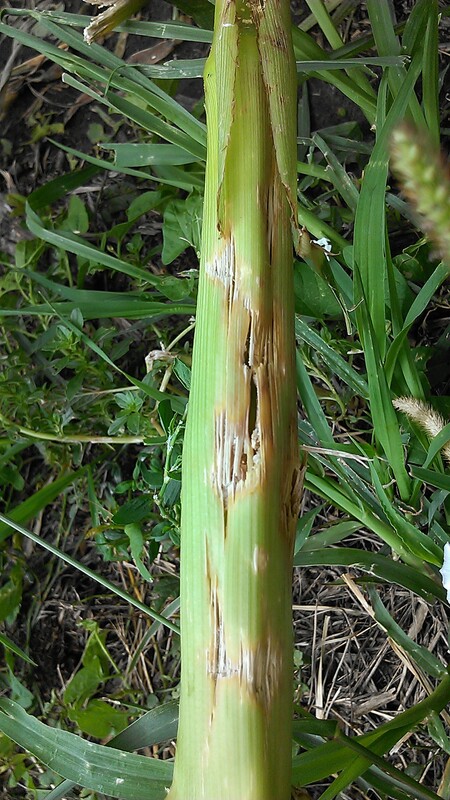 Hail damage to stalks shown 4 days after the storm. 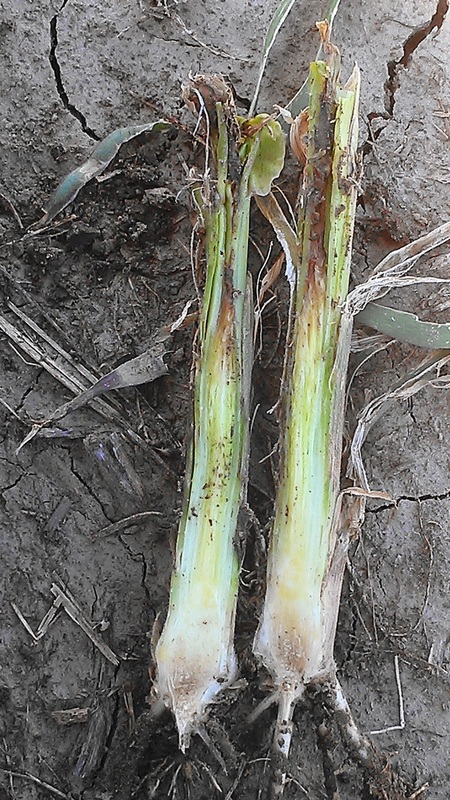 Splitting the stalks open 4 days after the storm resulted in seeing stalk rot already beginning to set in. 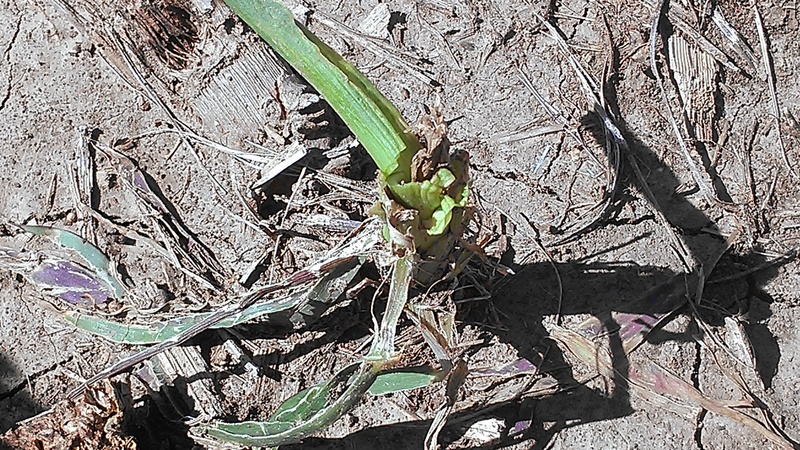 Corn on August 2nd in blister stage in which hail stones made kernels all mushy on one side of the ears. 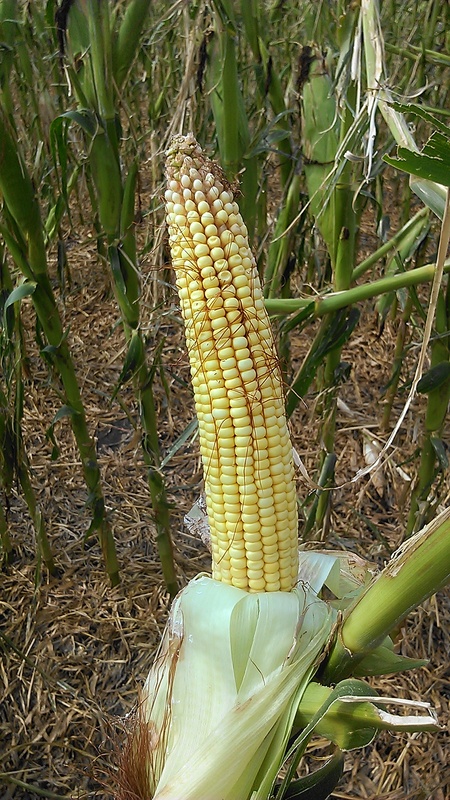 Corn ear on August 6th. 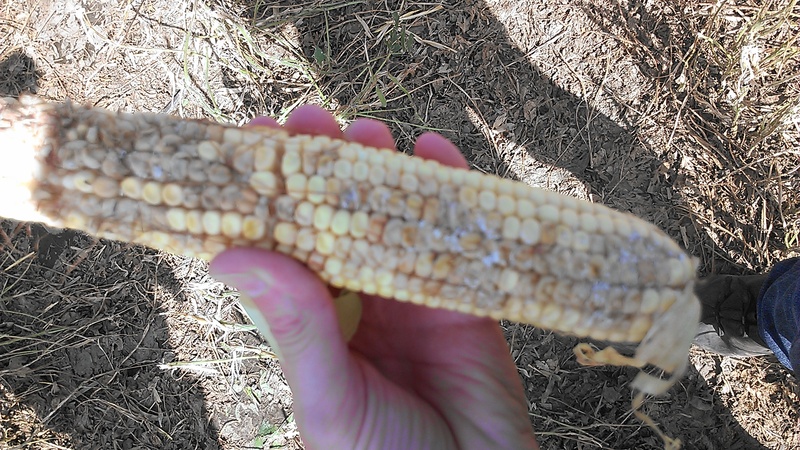 Notice moldy kernels appearing on side where hail damaged ear. 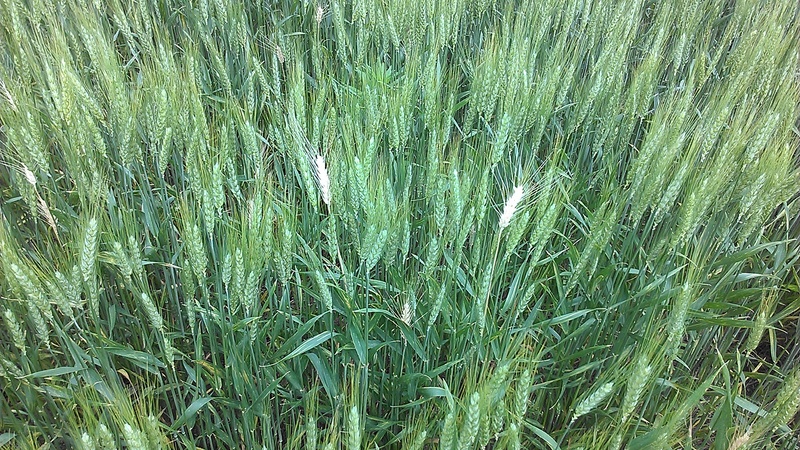 Six days after the storm, the good side of the ear that didn’t receive hail damage. 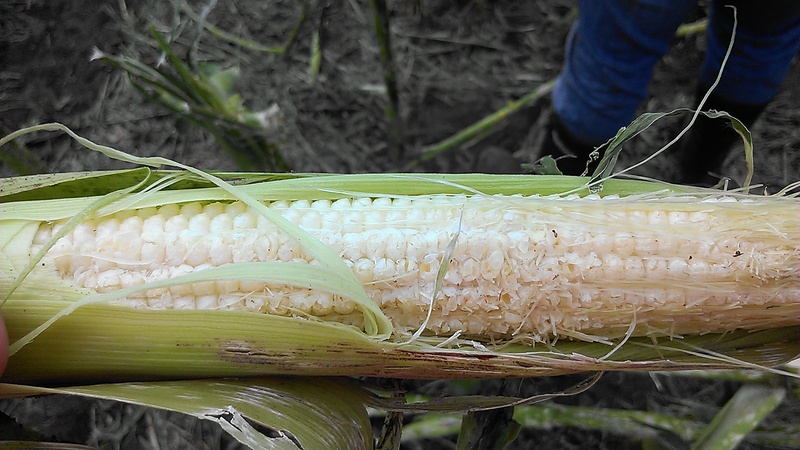 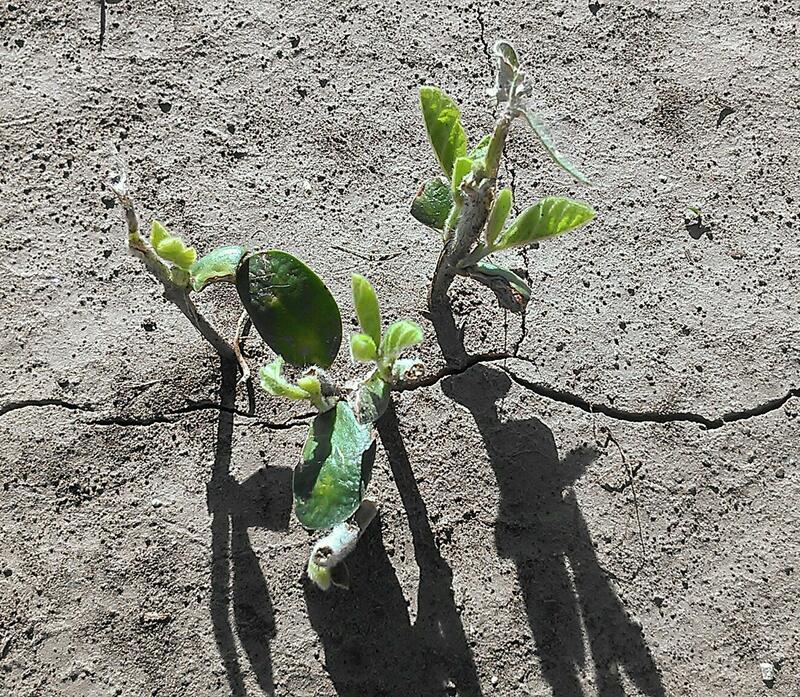 Six days after the storm, the side of the ear that received hail damage. 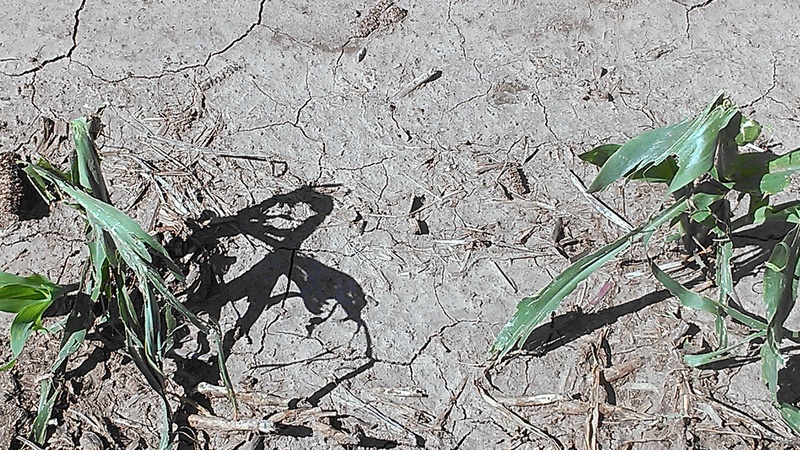 33 days after the storm, kernels on the “good” side of ears were beginning to sprout. 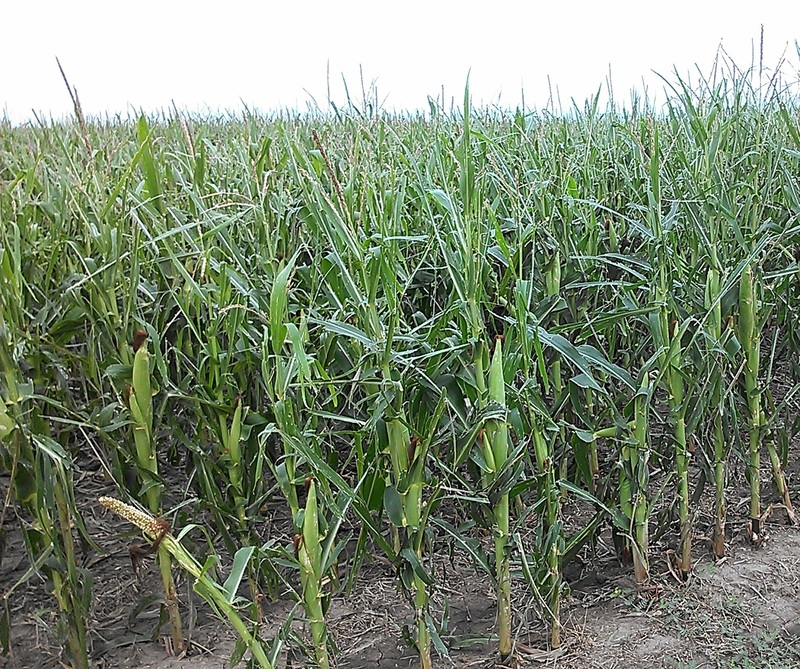 33 days after the storm: Diplodia set in creating light-weight ears and brittle kernels. 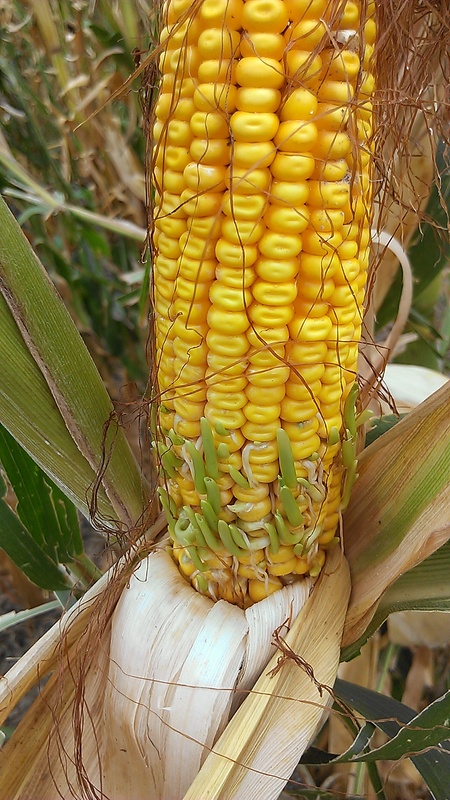 Sprouting occurring on damaged kernels on sides of ears. 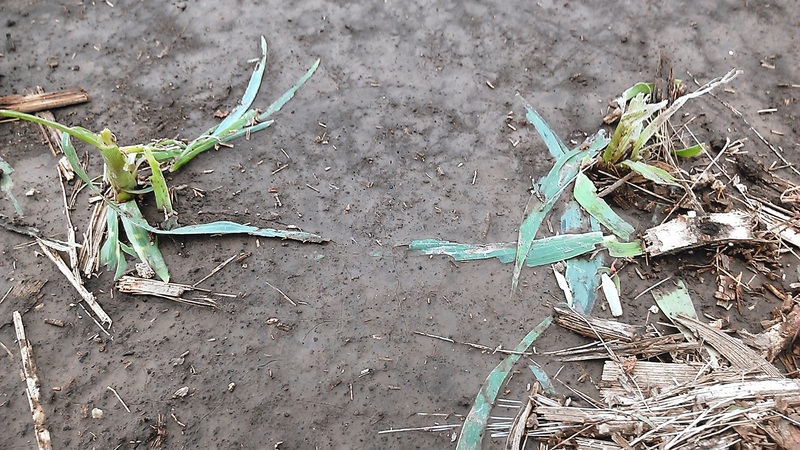 The presence of mold does not automatically mean a mycotoxin is present. 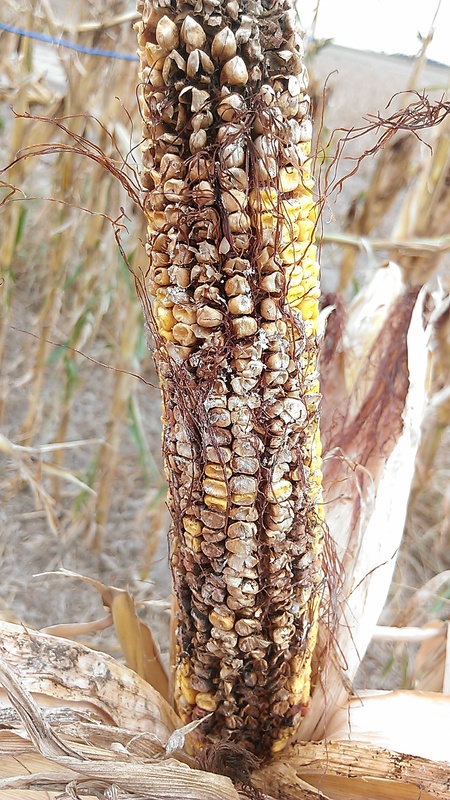 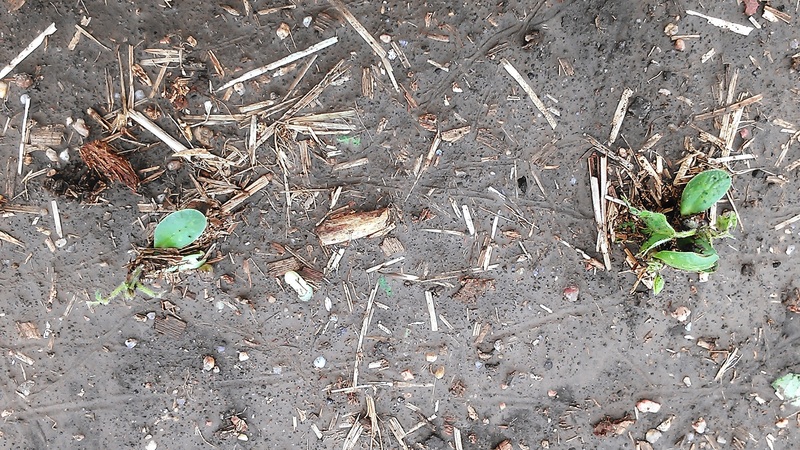 Producers also wondered about the safety of feeding moldy grain to livestock.